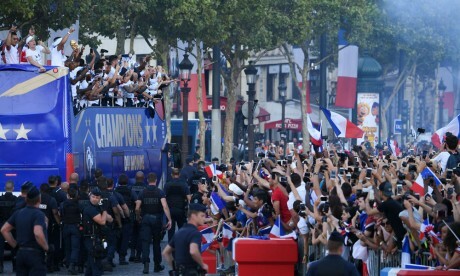 FIFA World Cup 2018 champion French team reached to their homeland and the winner team was welcomed in the country warmly. Huge number of people was gathered on the road while the football team was given the tribute and the parade was done and an air show was also managed. 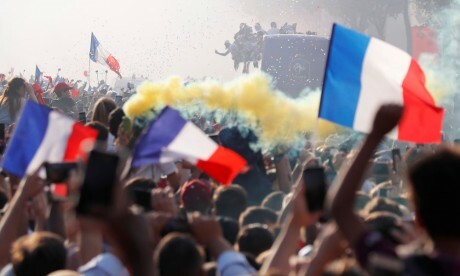 During the air show, the planes scattered the colors of the French flag in the air while the thundering voice of the air planes raised their head with proud. The fans welcomed the players in queue and they presented the wonderful tribute to their heroes. 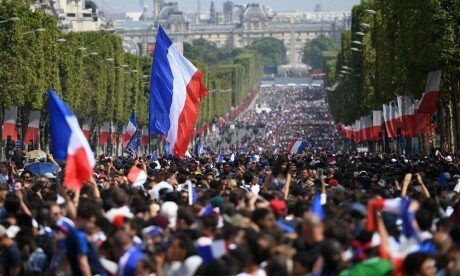 The French football team will be given the reception in the president house and the players visited the city riding in the bus. The captain Hugo Lorice and coach, Daderisdis came out of the plane first and they showed the trophy and people congratulated them by welcoming them. A ceremony was conducted in the presidential palace and about three thousand people were invited there. Paris Transport Company decided to set the names of some of the stations in the names of the players. Victor Hugo Lorice, goal keeper, coach and other players will be awarded with this honor. On the other side, when the Croatian team reached to their homeland, they were welcomed warmly. The Croatian team was defeated in the final but the people congratulated them as they had the access to the final. 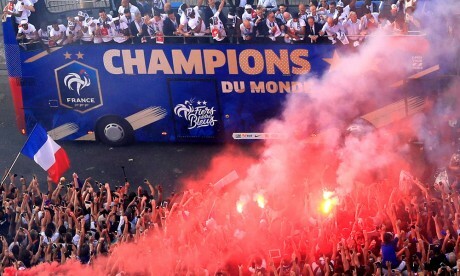 Huge number of fans presented in the streets of the city to welcome their players and they were looking celebrating their pleasure.